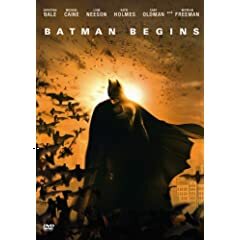 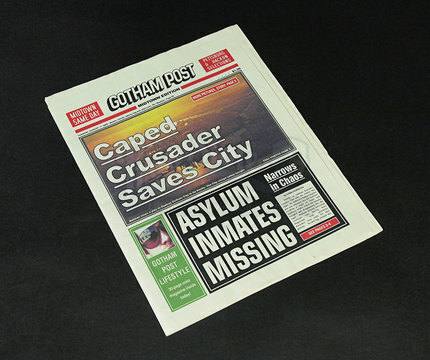 A prop copy of the Gotham Post newspaper from the blockbuster: Batman Begins (2005). 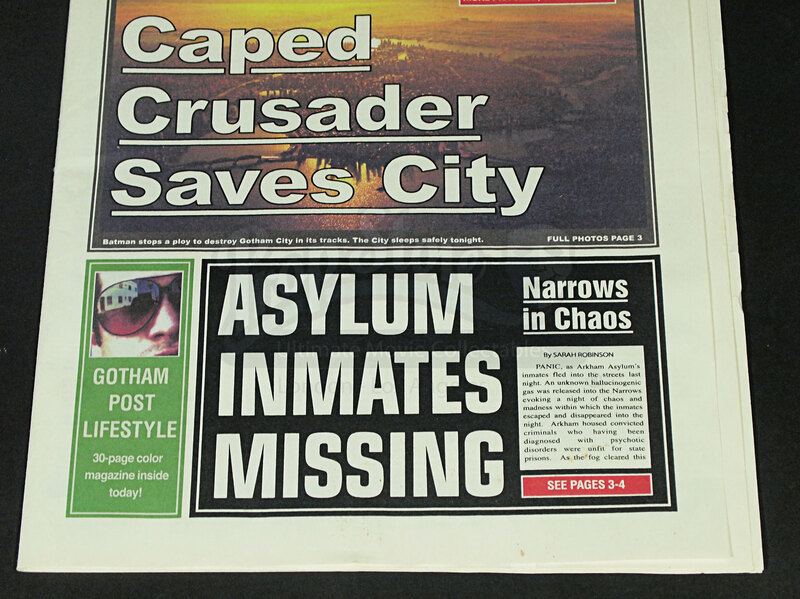 Various Gotham-branded newspapers can be seen throughout the movie, detailing the constant goings-on in and around Gotham City, however this particular paper cannot be clearly seen on screen. 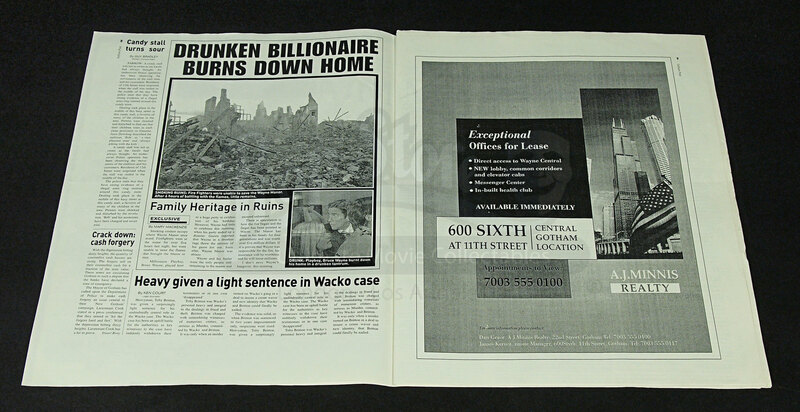 “Drunken Billionaire Burns Down Home” is one of the main titles referring to his antics the previous night. 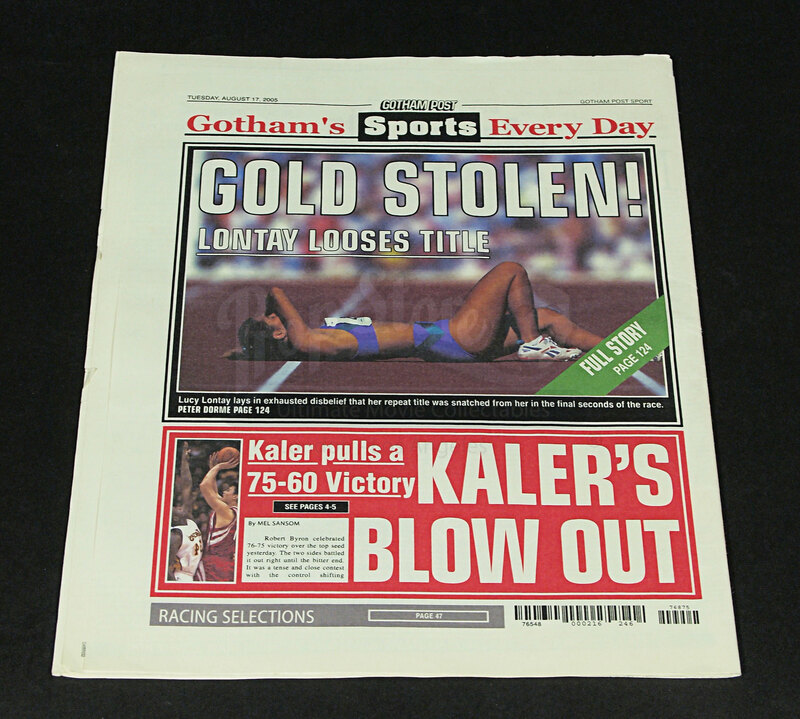 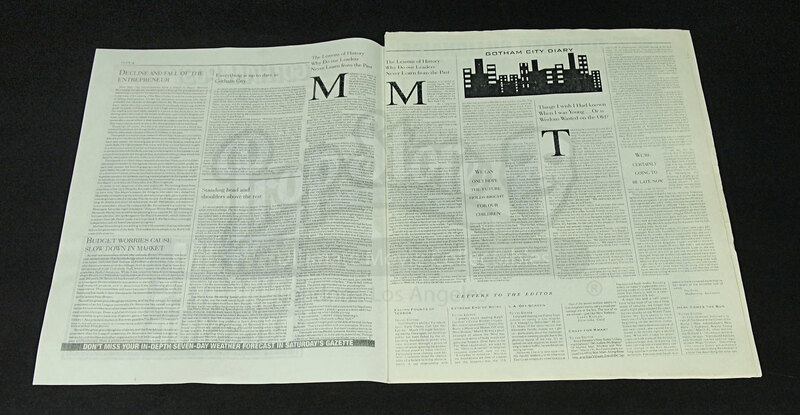 This highly detailed prop features news stories related to Gotham running through the entire copy, (several times over and some in colour), including Gotham sports on the back cover. 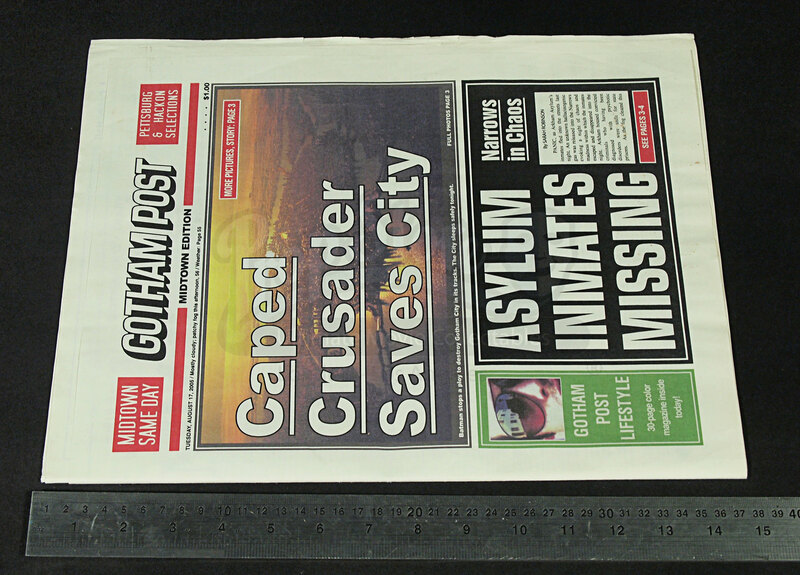 With only minor production wear this “Gotham Post” newspaper is in very good condition, measuring 29.5cm x 37cm (11.6” x 14.5”). 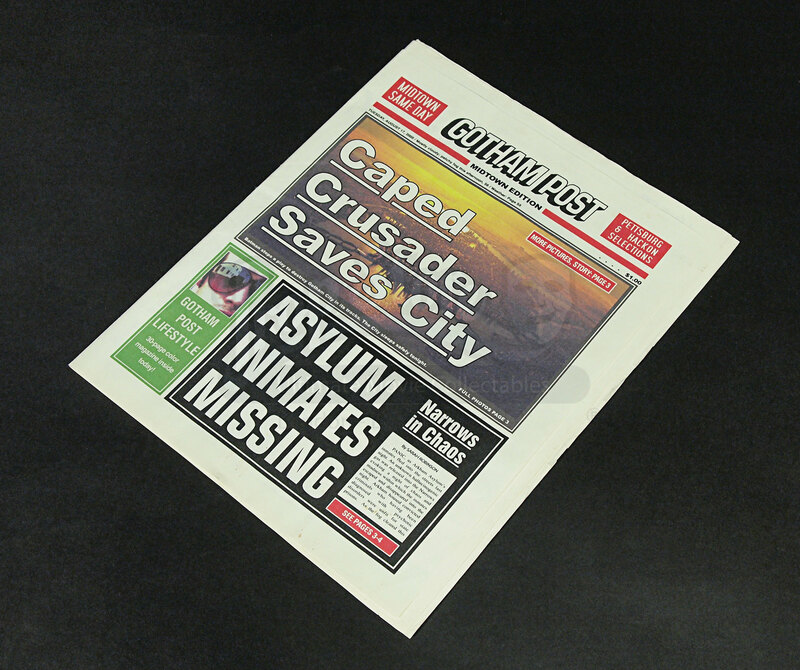 This is a great custom made prop from the movie.